All The Preserves at Alamo Ra homes currently listed for sale in San Antonio as of 04/22/2019 are shown below. You can change the search criteria at any time by pressing the 'Change Search' button below. 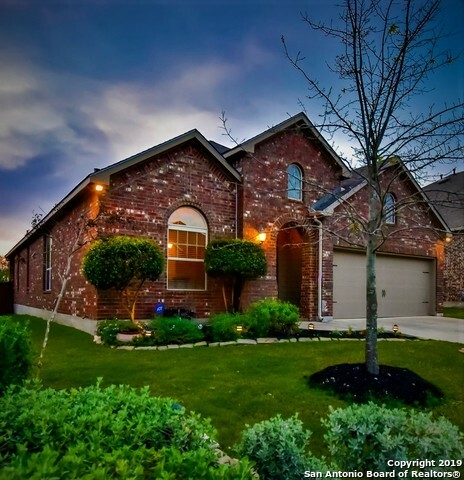 "Gorgeous One-Story Home in the gated community of The Preserves at Alamo Ranch. Open floor plan with vaulted ceilings throughout. Master Bedroom & Bath are a true retreat being on one side of the home. The other 2 bedrooms were only occasionally used as guest rooms. Beautiful office/study/game room with french doors. Many high end upgrades with Highland homes. Refrigerator remains. Outdoor deck, patio & lighting are ideal for enjoying the outdoors. Community has a pool, park and schools a"